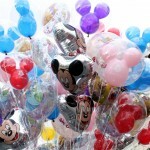 Please welcome Kim L. to the Disney Food Blog team! A current Disney World Moms Panelist back for yet another tour on the panel, we’re proud to have her working with us both “backstage and on stage” on the blog as well! Last week we polled our Disney Food Blog Facebook Page for their answer to this question: “What Disney restaurant would you recommend for a large group or family reunion?” Among the many awesome answers, the three restaurants mentioned the most by our Facebook Friends were ‘Ohana, Whispering Canyon Cafe and Crystal Palace! With a resounding 20 comments, Facebook Fans raved about their group dining experiences at ‘Ohana! 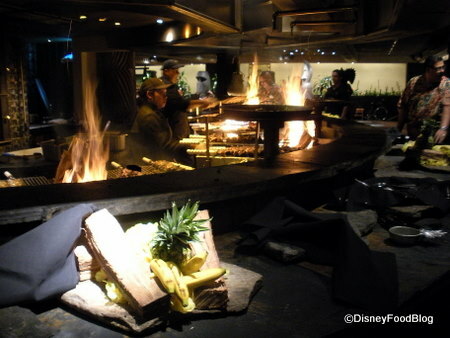 Located at Disney’s Polynesian Resort, ‘Ohana offers all-you-can-eat family-style meals. After all, ‘Ohana means family! In this tropical setting, groups savor the Polynesian-influenced flavors (Yummo Sticky Wings!!). 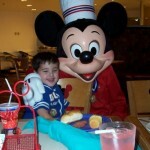 With a morning character meal and evening entertainment, it’s easy to see why this restaurant was tops! You can check out our most recent ‘Ohana review here! Kathy B. and Caroline V. raved about their post-wedding parties! Fiona L. agreed: “‎’Ohana, we had our fab wedding meal there last month. Staff were great, a bit of entertainment for the kids, but not loud and all at the same time like some character meals. Everything put together = a great atmosphere”. Fiona, I also love that this location is quieter than other character breakfasts, especially while I’m still shaking off a late night at Epcot! My family has dined here with extended family for the friendly character breakfast. I love waking up to the fantastic view and sharing the yummy food at ‘Ohana with loved ones! Obviously our Facebook Friends like food. 😉 And with this vote, we sense the fun-factor is important too! Whispering Canyon Cafe doesn’t offer refined dining, but it serves up hoot ‘n hollerin’ humor along with its down-home BBQ meals. A favorite feature of this restaurant is the all-you-can eat skillets. See, we knew y’all liked food! 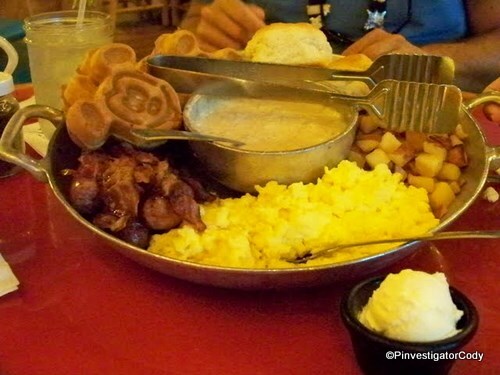 Over on the Facebook page, Nick T. sums it up: “Whispering Canyon Cafe. A perfectly crazy place for my crazy family”. I have to agree! I’ve taken many extended family members, including my in-laws to this lively location. We still dread asking for ketchup at breakfast and have fond memories of our son riding a stick-pony around the restaurant while waving to his grandparents! 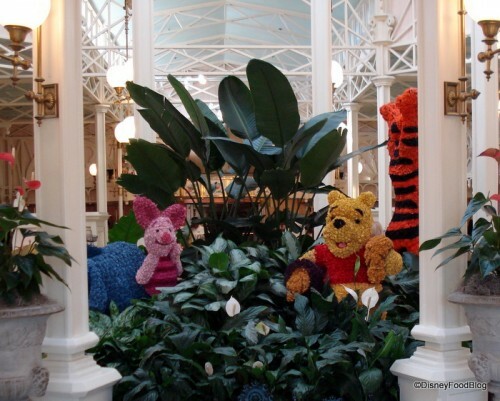 Our Facebook Friends also like the nostalgia of dining with Winnie the Pooh and friends from the Hundred Acre Wood. Crystal Palace offers character interaction that guests of all ages adore and buffet meals to please even the pickiest members of your family. 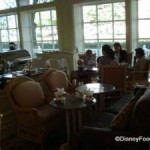 Located in the Magic Kingdom, this restaurant is a cheerful, upbeat location for your group dining needs. Welcome To the Crystal Palace! Laura O. says she likes “Crystal Palace for breakfast or lunch”. Barry W., Theresa A. and Becki O. also give a shout-out to Crystal Palace! I have fond memories of dining at Crystal Palace for lunch with a group of 14 family members ranging in age from 2 to 60+ years young! Don’t forget to bounce with Tigger! But we can’t forget these strong contenders! Other restaurants that were mentioned several times included Boma in Disney’s Animal Kingdom Lodge, Biergarten in Epcot, Hoop Dee Doo Revue in Fort Wilderness, and Chef Mickey’s in Disney’s Contemporary Resort! Thanks to everyone who responded to our question!! 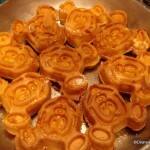 Check out the rest of our Best Disney World Restaurants series! 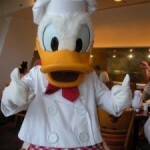 Where’s The Best Place YOU Recommend For Dining With A Large Group in Disney? Since we know there’s plenty more group dining locations available in Disney parks and resorts, chime in with your favorite by adding to the list in our comments section below! I agree with all of the top three. It’s no coincidence that the top two are “family style” dining. It can get a bit chaotic, and less enjoyable, when everyone is constantly running up to the buffet line. The set price also makes to it bit easier to divide the bill. A la carte dining just makes bill splitting a nightmare. I am a little surprised that Liberty Tree Tavern did not make the list though. Definitely agree on ‘Ohana being number one. My wife and I had our rehearsal dinner there, and we had a group of about 30 or more. It was wonderful. I second ohana. I also had a largish wedding reception there (35 people) and my guests were blown away by the food! They thought we spent a fortune, which is the second reason I love Ohana for large groups…ITS CHEAP. Our first choice is Hoop Dee Doo, second would be Whispering Canyon. I’m sure of a 3rd. Pudge — LTT is a great option. You could have a whole room to yourselves, probably! Great points about bill splitting and buffets as well. mountchuck — Fun! Were you seated at that big table in the middle? Amanda — Ha! Great point! Tom — Yep; I think Hoop Dee Doo is great. The only problem is that you can’t have too much conversation (but I’d rather eat strawberry shortcake anyway! ).